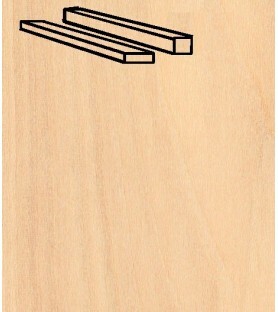 The birch wood is perfect for model building and for many other crafts. It has a clear tone and allows to achieve fine finishes. Its handling is easy as it supports sawing, brushing, gluing and varnishing without any problem. It has some of the best value for money in the market. Modeling, especially ship modeling, loves birch wood!